The Islamic Development Bank was established in 1973, and aims to foster the economic development and social progress of its member countries. These Scholarships enable academically outstanding students to study at Oxford and contribute to the improvement of socio-economic conditions in their country. 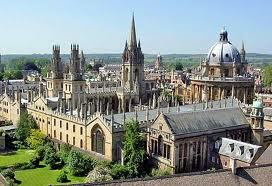 The Scholarships are supported jointly by the Islamic Development Bank and the University of Oxford. Candidates should be applying to start any new full-time graduate course in the MPLS, Medical Sciences and Social Sciences divisions, with the exception of PGCert and PGDip courses. Candidates should also be from one of the IDB member countries and be nominated by the IDB for the scholarship, having submitted successful applications to the relevant office of the IDB Governor, through their nominating institution. As the Scholarships are being made in partnership with the Clarendon Fund all candidates must have applied for admission to Oxford and been selected for a Clarendon Scholarship. The combined IDB-Oxford Clarendon Scholarship will cover tuition fees and college fees in full as well as providing a grant for living expenses. Awards are made for the full duration of a student’s fee liability for the agreed course. The continuation of your scholarship each year is subject to an annual renewal process based on satisfactory academic progress. Eligible candidates will be considered automatically by the University, provided that you submit your application for graduate study by the relevant January deadline, and you have secured a place on your chosen programme of study by the expected final decision date (13 March 2013). Applications with an outstanding admissions decision after this date, or applications which are re-evaluated against the later March deadline field, are not eligible for scholarship consideration. Applicants who are ‘re-routed’ (accepted onto a different programme of study to the one they originally applied for e.g. transferred from an MPhil to a DPhil or from one course to another) should contact us as soon as they are notified of the change in order to ensure that their application for a scholarship is maintained on their new programme of study. Candidates must also apply directly to IDB. Candidates must have been nominated by both the IDB and the University, through their parallel selection procedures, in order to receive their scholarship. This webpage will be updated to show when all decisions have been made. If you have not heard from us by the time this notice is posted, then your application to this scheme has been unsuccessful. Due to the volume of applications we receive, we are unable to contact unsuccessful applicants individually or provide feedback on applications.